An American Labrador retriever is a well-loved breed of dog, and one of the most popular breeds for families when they're ready to add a pet to their families. For many, they are the ideal family dog because of their temperament and ability to be trained easily, and their gentleness makes them compatible for families with children, as well. Labs have mellow personalities, are friendly, loyal, and patient, so they adapt to their families easily. Though many people think of a Labrador retriever as one type of dog, there are different types of Labrador retriever that go beyond whether they are yellow, black, or chocolate coloured. 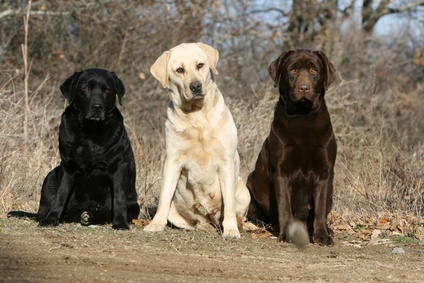 The British and American Labrador retrievers, though similar, have significant differences that gives uniqueness to each breed, and allows them to stand apart from each other. Though the breed originated in Newfoundland, Canada, an American Labrador retriever is one that was, quite simply, born in the United States. Of course, breeders work to maintain lineage to bring out the favourable traits in American Labradors that set them apart from English labs. One of the key differences between Labs from the two countries is their temperaments. They were originally bred for different purposes, so while both types are friendly, loyal, and respond well to training, the US labs are bred to be bigger, stronger, and more aggressive were bred for hunting. The English lab, on the other hand, was bred to be alert but not nervous, quiet and still, and good game retrievers. There are physical differences, as well. The American Labrador is usually larger. They range in weight from about seventy pounds to as much as one hundred and twenty pounds, with females being smaller than males. The US Lab is also taller and lankier than their English counterparts. Their tails are also longer and thinner. Unfortunately they are also more prone to hip dysplasia than the British breeds. The US variation tends to be a little more rambunctious, especially if they are not trained properly. Labradors are larger dogs bred to be energetic, so they need lots of opportunities to run and play outside. Since labs have a more easygoing nature, they can be happy in an apartment setting, but still need to be able to be outside often. 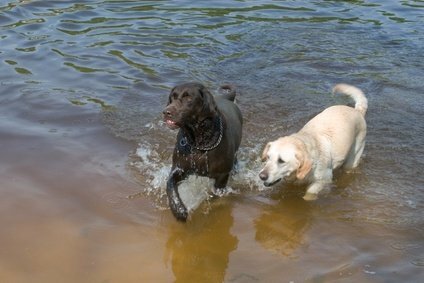 Being active will also help keep the dog from developing health problems as a result of obesity, which is a concern with Labrador retrievers. There are many differences between the United States and England. And though many people focus on the differences between the people, there are also differences between Babs from both countries that have led each breed to be unique, with its own strengths. However, both types of Lab maintain the patient, friendly, and loyal temperament that have helped make Labrador retrievers one of the most popular breed of pets in the world.